1. The body of the candlestick is black and small. The black body of the candlestick should be small. The lengths of the shadows are not important. 1. 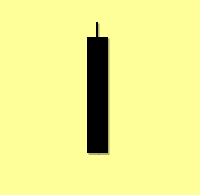 The body of the candlestick is white with normal length. 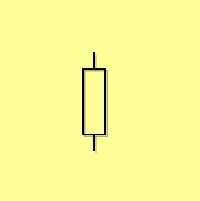 The white body of the candlestick should be of average length. The shadows? length is not important. This candlestick alone is not reliable enough to decide about bullishness since it reflects only one day?s trading that was under buyers? control. It may show the continuation of a trend as well as the reversal. 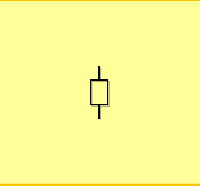 Other neighboring candlesticks must be taken into consideration for a decision regarding market direction. There are hundreds of thousands of market participants buying and selling securities for a wide variety of reasons: hope of gain fear of loss tax consequences short-covering hedging stop-loss triggers price target triggers fundamental analysis technical analysis broker recommendations and a few dozen more. Trying to figure out why participants are buying and selling can be a daunting process. Chart patterns put all buying and selling into perspective by consolidating the forces of supply and demand into a concise picture. As a complete pictorial record of all trading chart patterns provide a framework to analyze the battle raging between bulls and bears. More importantly chart patterns and technical analysis can help determine who is winning the battle allowing traders and investors to position themselves accordingly. In many ways chart patterns are simply more complex versions of trend lines. It is important that you read and understand our articles on Support and Resistance as well as Trend Lines before you continue. Chart pattern analysis can be used to make short-term or long-term forecasts. The data can be intraday daily weekly or monthly and the patterns can be as short as one day or as long as many years. Gaps and outside reversals may form in one trading session while broadening tops and dormant bottoms may require many months to form. This pattern is characterized by a large black body engulfing a preceding smaller white body which appears during an uptrend. The black body does not necessarily engulf the shadows of the white body but totally engulfs the body itself. 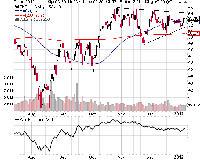 This is an important top reversal signal. While the market is characterized by a definite uptrend lower volume of buying is observed with the occurrence of a white body on the first day. The next day the market opens at new highs. It looks as if there?s going to be more bullish trading however the uptrend loses momentum and the bears take the lead during the day. The selling pressure overcomes buying and finally the market closes below the open of the previous day. The uptrend is damaged.